Monarch Air Group provides private air charter in Atlantic City, NJ. Our clients benefit from top-notch service, unrelenting dedication to safety, wide selection of aircraft, and years of experience in chartering private jets. To obtain a free quote, please use our online quoting tool provided below, or call toll free 1-877-281-3051. 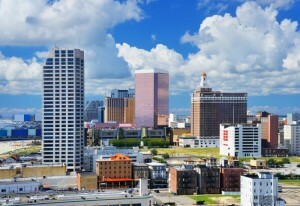 Atlantic City is the second greatest casino and entertainment city of America. It is well-known tourist destination in the state of New Jersey that is renowned for things like golf, water sports, horseback riding, fishing, casino gaming, fine dining, and excellent hotels and spas. This seaside resort city has beautiful white sandy beaches and the Atlantic City boardwalk. This beautiful city is home to people like Donald Trump and is served by three major airports: Atlantic City International Airport, Newark International Airport, and Philadelphia International Airport. The most popular attractions are Storybook Land, Lucy the Elephant, and the Ripley’s Believe It Or Not Museum.